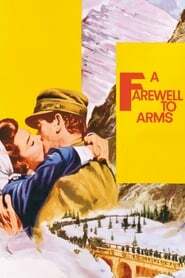 A Farewell to Arms is a 1957 American drama film directed by Charles Vidor. The screenplay by Ben Hecht, based in part on a 1930 play by Laurence Stallings, was the second feature film adaptation of Ernest Hemingway’s 1929 semi-autobiographical novel of the same name. It was the last film produced by David O. Selznick.